Amazon Web Services (AWS) provides a broad set of infrastructure services including computing power and storage options. Since, AWS cloud computing platform brings in the flexibility to build the application, regardless of the case and industry and therefore, many customers have joined AWS for growing their businesses and use the AWS for developing solutions for the businesses. It helps in saving time and money and allows AWS to manage infrastructure, without compromising on security, scalability, and dependency. Cloud Computing covers fundamentals of building IT infrastructure on Amazon Web Services. The certification in cloud computing provides understanding on the AWS services and knowledge on the ways to fix the facilities into cloud-based solutions. 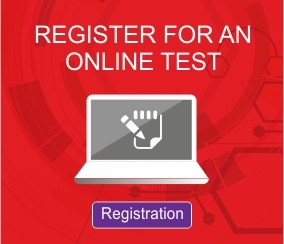 The exam will test knowledge of the candidate related to computer services, database services, and identity management tools, Networking and Content Delivery and Storage Services. The certification in cloud computing can open doors to lucrative positions in IT sector. Accreditation by CCUBE, which is the best skills certifying agencies in India, can help a student to stand out from the crowd. After taking certification in cloud computing, the certified professional can apply for the positions including cloud software engineer, cloud project manager, cloud administrator, cloud network engineer, cloud consultant, etc. The certification allows the student to register on our job portal that brings effective handholding to attain the grab the best career opportunity. The professionals who are already working for IT company, looking for a growth prospect or student already completed AWS cloud computing can take up this certification.